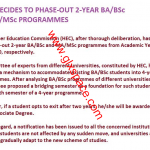 Notification BS/B.Sc (Hon) etc Equivalent to MA/M.Sc. As I already published the proof of MA Education equivalent to M.ED in the earlier posts, now I am publishing the Notification of Notification BS/B.Sc (Hon) etc Equivalent to MA/M.Sc. In this notification it is clear that BE/BSc.Engg./BSc (Hons), Agri./. B.Pharm/ MBBS/BS (CS), BS (IT), BBA (Hons) or LLB or equivalent held after 4 years/8 semesters (16 to 18 weeks each) studies and upon qualifying minimum 124 to 136 credit hours with admission requirements as Intermediate or equivalent involving 12 years schooling as equivalent to MA/MSc degrees awarded after 4 years of post intermediate education (2 years BA/BSc + 2 years MA/MSc) in general stream for the purpose of employment in BPS-17 and for higher education. dear madam kia ap mujhay bta sakti hai kay BS(software engineering ) master degree ka equivalent hai ,, ki iss ko prove karnay kay liya mujhay iss case ki copy hi kafi hai ya iss ka equivalence certificate bnay gah??? dear madam. is bs in electronics engineering is equal to master in electronics? MA education Med & Bed ka brabar by. 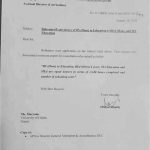 Kia 2 years BSc ka equivalence certificate issue hota ha? Salam....mam mjy janna ha bs hons, 2 year( 4 semestr) bsc ky equclnce ha??? 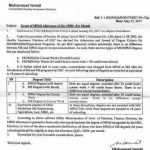 B tech Hons Degree status may please be confirmed?? BPEd (HPE) MSc (HPE) 1year is equal to MSc (HPE) 2 years? is notification ma equivalent for the purpose of BS 17 ha. agr vacancy BS 16 ki ho to kya degree equivalent to master consider nhi ho gi? Dear Salman aap HEC ko is silsalay main apply ker dain. I hope they will soon reply you. Dear naveed, isi Notification ki copy kisi be case kay saath laga dain. Is BS(Computer Science) equivalent to BS(Software Engineering) and BS (Information Technology)? Dear Zohain mujhay confirm nahin hay aap HEC ko apply kar dain is ki equivalence kay liay. did u get that zohaib ? 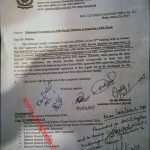 zohab bhai ap ny equlence ceritficate lia tha hec sy?? Plz tell me that LL.M is equal to M.Phill plz tell further me where from the copy of Nottification can be obtained/downlod.ok. Dear S.M Hafeez, I have not the copy of the same. You can submit your application to the HEC for the verification of equivalence of the same degree. I have completed MA Education .I ask to clear to my question. Is MA Education equal to M.Ed? Dear C. Ramesh, MA Education is equivalent to M.Ed. 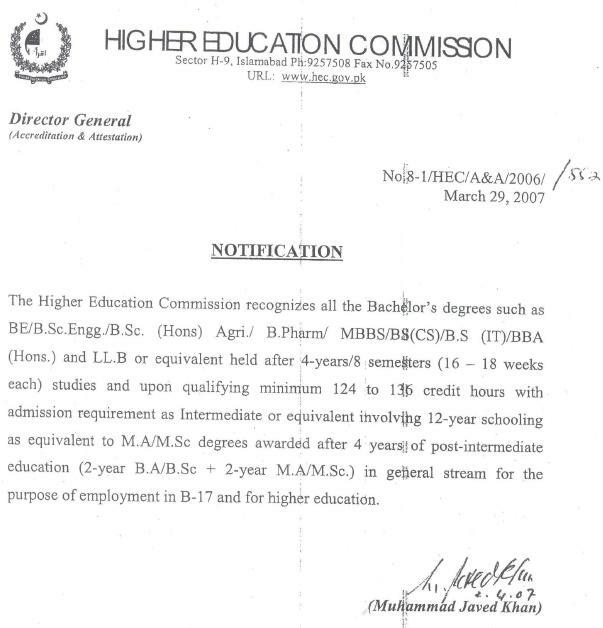 Dear Ejaz, just write an application to the board from where u got the degree if it belongs to HEC then write to HEC for the equivalence of the degree. Dear Mazhar I have not the copy of the same notification. Dear Umair, the same copy is available at this post. As soon as i receive the Notification i ll publish it. kindly mje ye bata dein k federal govt k jo mulazam hain agr un ki night duty ho tu un ko over time milta hai ar kya night duty k bad next day chuti hoti hai. 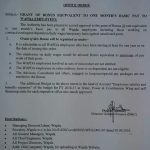 me army me hon ar adhoc base pe UDC hon, hmri har month me night duty as duty clerk lagti hai, kindly mje inform krin k hm adhoc walon ko over time milta hai k ni. ar duty se next day kya chuti hoti hai. Federal main aisa kuch nahin hay. Dear Kahlid you can send an application to the higher education for the clarification of the same.